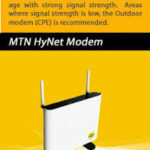 The 4G LTE is the latest wireless network for browsing. It is the latest browsing evolution. LTE stands for “Long Term Evolution”. 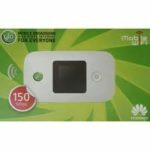 It is the evolution of standards for wireless network after 3G and is the most advance wireless technology offering Ultra Fast Internet speed.”. 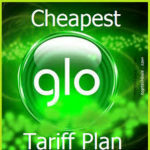 It is Glo’s latest offering, providing high speed internet service. GLO LTE is multiple times faster than 3G network. LTE is the fastest wireless data technology available today in the World. With Glo 4G LTE, you can download and upload files, song or movie at a faster rate on your devices. For instance, you can download 1GB data, movie or song in few minutes. It also makes you browse at a faster rate. This is the real definition of fast. You will be able to watch a Ultra high definition videos without it buffering. 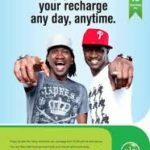 You need a Glo 4G LTE SIM from a Gloworld or you may simply swap your existing Glo SIM. 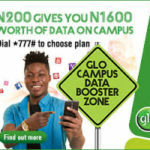 You can get LTE SIM or swap an existing SIM at any Gloworld, Glozone or Glo dealer outlets around you. You need a 4G LTE enabled Smartphone. You can check to see if your phone is 4G LTE compatible for Glo by sending a text containing 4G to 400. You will get a response that will inform you of the compatibility. 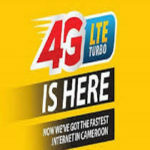 You need to have one of the 4G LTE data plans. You may subscribe for one by dialling *777# to purchase a plan of your choice. With these three essential things, you may enjoy your Glo 4G LTE. Lagos Lekki, Ikoyi ,Victoria Island, and Akoka, Ikeja, Oregun, Op Isolo, LASU, LUTH, Apapa, Ikorodu, Airport, Alapere, La Business School, Lagos Isla Anthony, Badagry, Epe, LUT Magodo, Maryland, Opebi, Y Surulere. Ogun Redeemed Camp, Babcock University, OTA. Bonny Island, Onne , Nafcon, Azuabie Tow, Phc Aba Road, Trans Amadi, Dio Old GRA, Uniport, Rukpokwu, Eagle cement, Rumuibekwe, Eleme Junction, Eliozu, Woji, Rumuigbo, Oyigbo, Abuloma Iwofe, Onne, Rumuolumeni, Island, Chinda, Choba, Eling Eliozu, Intels, Nkpogwu, Oils RUST, Rumueme, Rochi, Rukpoku, Rumuokuta, NTA, Oyigbo. Maitama, Wuse, Asokoro, Ga Central Business District, Air Road ,Mpape, Utako, Life Ca Jikwoji, Dawaki, Gudu, Karu, Kado, Kuje, Zuba Maraba, Ab North, Abuja South, Baze University, City college, FCT minsters quarters, Galadima Gwarimpa, Jahi, Kabusa, Kaura,Lugbe. Warri, Sapele, Agbor, Escarv Abraka. Available only in ABTI American University. Available only in Ahmadu Bello University. Croo River State and Calabar in particular is not among the coverage areas, why?